Applied Materials, Inc. is an American corporation that supplies equipment, services and software to enable the manufacture of many technology products. They are the leader of their field and it is their innovations that make possible the technology shaping the future. The company is headquartered in California and was founded in 1967 before going public in 1972. Israel Aerospace Industries (IAI) is globally recognized leader in the development and production of systems for the defense and commercial markets. IAI offers unique solutions for a broad spectrum of requirements in space, air, land, sea and cyber. IAI is a an extensive research and development (R&D), engineering, manufacturing and testing capabilities to develop, produce and support complete systems as Satellites and Space Systems, Defense Systems, Missiles and Loitering Weapons, Special Mission and Early Warning Aircrafts, Unmanned Aerial Systems, Radar and Electronic Intelligence, Passengers to Freighter Aircraft Conversions, Command and Control Strategic Systems, Robotics and Cyber Solutions. IAI's Cooperation with "Latet" Organization. One of IAI's (Israel Aerospace Industries Ltd) wide range of activities for the community includes a meaningful and fruitful cooperation of IAI employees with 'Latet' Organization. During the year on several occasions, mostly prior to holiday's time, IAI establish a donation campaign which its employees donate money out of their own capital for purchasing tailored food packages for needed families. In addition IAI employees contribute at their own free time, establishing a packing and boxing process of all the donated ingredients which then distributed by "Latet" to the needed families. Goldfarb Seligman is one of Israel’s biggest law firms that delivers top-tier legal services at international standards. The firm has been running for 80 years on the professional philosophy that each client is different, with individual issues and considerations. Based on this philosophy, the firm strives to provide every client with services tailored to their personal needs. Goldfarb Seligman employs over 220 attorneys, including over 80 partners who offer clients a wide spectrum of legal services. Goldfarb Seligman has consistently been ranked among the leading law firms in Israel in various practice areas by international and local ratings such as Chambers Global, European Legal 500, IFLR1000, BDICode, Dun’s 100 and others. The Jewish Federation of Greater Philadelphia uses financial resources and volunteers to address the issues facing Jews today. For more than 115 years they have been bringing aid to Jewish people across the world: whether locally in Philadelphia, in the Jewish homeland or in the Former Soviet Union, where Jews have been more vulnerable in recent years. Through the Jewish Federation of Greater Philadelphia, Jews of all ages and backgrounds can pool resources to ensure that no community member is in need. Teva is committed to increasing access to high-quality healthcare for people across the globe, at every stage of life. They do this by developing, producing and marketing affordable generic drugs as well as innovative and specialty pharmaceuticals and active pharmaceutical ingredients. 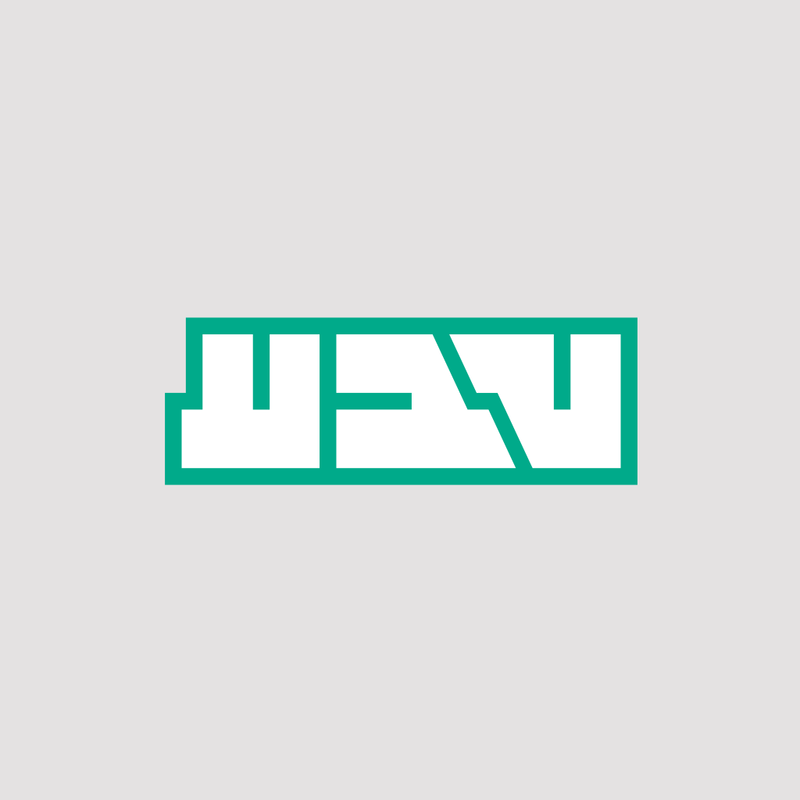 Teva was established in 190 and their global headquarters are based in Israel. Today Teva have a portfolio of more than 1,000 molecules, producing approximately 64 billion tablets and capsules a year at 66 manufacturing facilities. They rank among the 10 top pharmaceutical companies in the world and are active in 60 countries.has been lucky enough to be part of this. HESEG Foundation is a scholarship fund, which was established in 2005 by the Canadian couple, Gerry Schwartz and Heather Reisman, and provides yearly scholarships and living expenses for discharged IDF Soldiers whom were recognized as "lone soldiers" during their service. The scholarship and the financial aid are intended to encourage them to build a home in Israel and to thank them for their contribution to Israeli society. The Foundation instituted the "HESEG House" - a warm home for the scholars, located at 46 Rothschild Boulevard in Tel Aviv. The house offers a variety of activities for the welfare of the scholars and alumni of the Foundation (rich library, gym, movie theater, etc.) In addition, there are workshops and lectures for scholars and alumni in a variety of topics. As of today, there are hundreds of Scholarship Recipients enrolled in academic institutions all over the country and about a thousand alumni, who have completed their undergraduate studies, with the help of HESEG Foundation. In return for the scholarship, scholarship recipients undertake 130 hours of annual community volunteering. The purpose of volunteering is to pass the contribution forward, for the wellbeing of the Israeli society. "Latet" organization is one of our oldest volunteer organizations, and about 20 HESEG scholars volunteer with them. 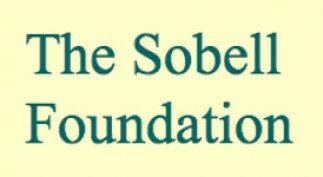 The Foundation for the Memory of the Shoah is a private and public interest foundation. It was set up by a French government decree in 2000, when awareness of the French State’s responsibility in the Holocaust was rising. The FMS subsidizes the Shoah Memorial (in Paris and in Drancy); enhances knowledge about the Shoah; provides assistance to survivors in need and combats anti-Semitism by facilitating intercultural dialogue. The foundation has supported Latet since 2007 in the ‘Aid for Life’ program, which helps nearly 1,000 needy holocaust survivors. University scholarship program from Friends of the Israeli Defence Forces (FIDF), founded in 2002, in order to honor the fighters on their military service and contribution of dedication to protection and security of the state . The scholarships are awarded to soldiers who have completed their service in the IDF combat units (fighters and combat support) from families with financial troubles . The scholarship is $4,000 ִfor each year of study, each grantee funded by an individual donor, who accompanies him throughout his undergraduate studies. Students who receive the scholorship volunteer in the community (130 hours per year), as part of "IMPACT! 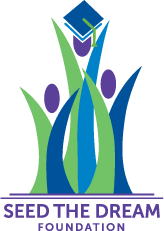 Community", for one of 19 partners in various volunteer organizations in the country. Scholars have carried out since the beginning of the program IMPACT!, more than 3 million hours for the community, a total value of 90 million NIS. at about 90 educational institutions throughout the country. So far, the program has granted scholarships to about 8,300 soldiers, totaling $107 million. For the last 10 years the scholarship program IMPACT! has been working with LATET. in recent years LATET has become the organization with the largest number of IMPACT! volunteers. ▪ A variety of activities allows the volunteer to choose what is right for them, and we are proud of helping thousands of families in Israel by giving. Scholarship Recipients many choose to continue their volunteer work after completing their studies, and for us this great success. AUJF was founded in 1968 to support social and educational programs in France and Israel. It aims to strengthen Jewish identity, bring together the Jewish community in France and to unite the people in support of Israel. Tens of thousands of donors are involved with this organization which ensures that AUJF are able to complete their missions. Young Judaea is America’s oldest Zionist youth movement, turning Jewish youth of diverse backgrounds and orientations into engaged leaders and inspired activists with a life-long commitment to Israel. Through immersive informal and experiential education, Young Judaea fosters a sense of value and love for Jewish tradition and ritual and pride in the Jewish people, Israel and being Jewish. They run summer camp as well as year round experiences in Israel and America which provide an open environment for youth to learn. 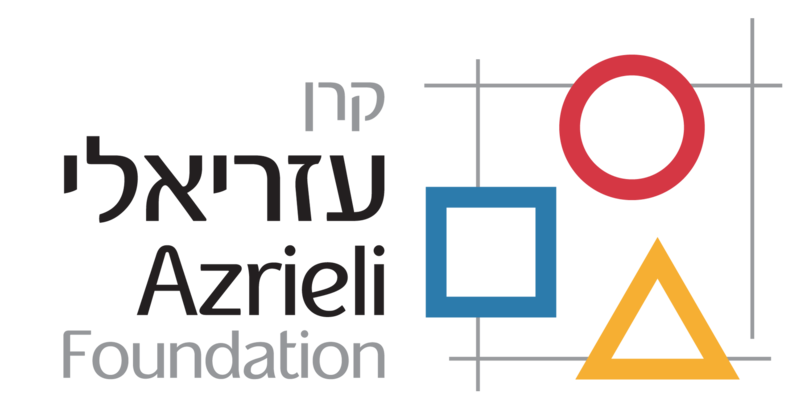 The Azrieli Foundation was established in 1989 to realize and extend the philanthropic goals of the late David J. Azrieli, C.M., C.Q., M.Arch. 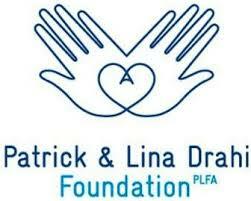 The Foundation funds scientific research, higher education, youth empowerment, the arts holocaust education and quality of life initiatives for people with developmental disabilities. Through this, they strive to empower individuals and facilitate innovative research, particularly focusing on the Jewish future both in Israel and in the diaspora. Since its establishment, social and environmental responsibility has always been an integral part of Osem’s overall management vision. The overriding principle that guides Osem in its daily business is creating shared value with all stakeholders, whilst recognizing that social resilience and the welfare of the stakeholders are intertwined. As a major investment channel in the community, Osem has chosen an area consistent with our core business – promoting nutritional security in Israel. We believe that we can create a shared value in this area, enabling maximum leverage to our contribution to the community which will lead to effective and long term change. 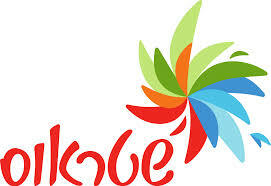 Our main partner in the area of promoting nutritional security is Latet Organization. Our extensive and comprehensive cooperation began more than a decade ago and is multi layered: financial donation, product donation (money’s worth) and employee volunteering. These include, professionals from the Osem group who specialize in activities that are relevant to Latet, supporters, mentors, and consultants to the organization and to local associations that cooperate with it in everything regarding the chain of supply, quality control, safety, nutrition, etc. Ernest and Young is a global success in assurance, tax, transactions and advisory services. Locally, they are committed to building a better working world for their community and clients. On top of this, globally they strive to reinforce their values of creating a healthy work society for 700 offices across 150 countries around the worldwide. San Disk was founded in 1988 with the mission of enriching people’s lives through digital storage anytime, anywhere. Companies and consumers, globally, count on their storage solutions in many areas including; data centre solutions, mobile solutions, computer solutions, and consumer electronics. They deliver the peace of mind that data is always available and reliable. San Disk have created solutions which have helped to reduce the cost of flash memory by 50,000 times and increase capacity by 30,000 times. 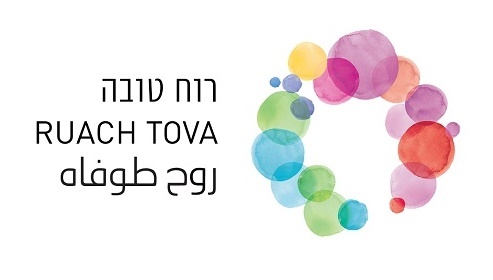 ​Ruach Tova (“Good Spirit” in Hebrew) is the leading organization in the field of volunteering in Israel, specializing in matching volunteers with organizations. Good Deeds Day , an international day of Doing Good, is our largest project. UJA works to care for people in need, by responding to crises locally in New York and also in Israel. For 100 years they have been at the forefront of responding to major events. When emergency or disaster take place they move quickly and effectively to help those in need. On top of that, they help fund a network of nearly 100 non-profits, including social service agencies, Jewish Community Centres, summer camps and Hillels to bring vital services to the people counting on them. Intel is a leading developer of processors, programing and memory. Intel invents at the boundaries of technology to ensure the best experiences for their users. The Israel centre is a leading part of the Intel Corporation and its contribution to the development of society is significant. Mazon is an American non-profit which was set up 30 years ago to combat poverty and hunger in the United States and in Israel. They recognize the importance of responding to hungry peoples’ immediate need for nutrition and sustenance while also working to advance long-term solutions. This is executed through three strategies; education & advocacy, partnership grant-making and strategic initiatives. FedEx uses air, ground and sea networks to connect more than 220 countries and territories, linking more than 99% of the world’s GDP. Their diverse portfolio of transportation, e-commerce, and business solutions stand out, which is why they are consistently ranked among the world’s most admired brands and employers. FedEx believes it is their responsibility to deliver resources that improve the lives of their clients, as well as delivering their packages! That’s why FedEx is investing $200 million in more than 200 global communities by 2020 to create opportunities and deliver positive change around the world, Latet has been lucky enough to be part of this. 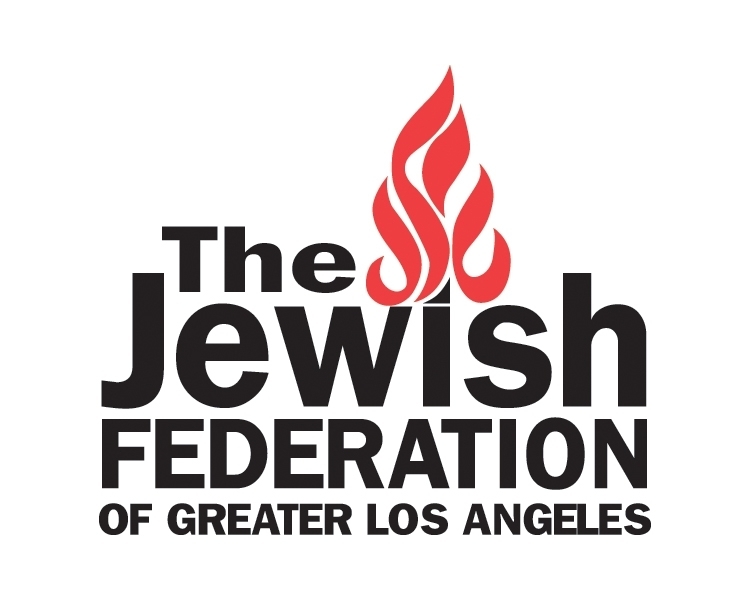 The Fondation du Judaïsme Français is an official recognized non profit organisation, involved in various philantropic activites. Its main objectives are to support social initiatives, respond to current issues, and provide moral and material support to services and institutions in France and abroad in the humanitarian, educational, scientific, cultural and artistic fields.